New Jersey, which lies northwest of the Appalachian Valley, has a total land area of 7,419 sq. miles. There are a multitude of options for virtual/indoor golf courses all over the state that can be enjoyed regardless of the weather outside. The state is also known for its different tourist attractions like the New Jersey State Library, various museums (Monmouth, Newark, Morris Museum), New Jersey State Parks, and vacation rentals. Its major cities include Newark, Jersey City, Paterson, Elizabeth, Edison, Toms River, Clifton, Camden, and Trenton (the capital city). 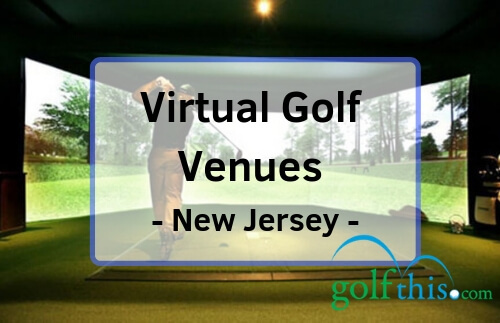 Listed below are some of the best virtual/indoor golf courses in all of New Jersey. Located at Mount Laurel in New Jersey is one of the best indoor golf courses in the state, the Golf Performance Institute. It was established in 2012 and founded by Therapists and Certified Titleist Performance Institute (TPI) Golf Fitness Instructors with more than a decade of experience in the industry. It marries top-of-the-chart simulator technology with South Jersey's top PGA Professional Golf Instructors and top TPI Golf Fitness Instructors in order to provide you with the best possible services regardless of your skill level. They offer 30 of the best golf courses around the world without ever having to leave the comfortable indoor setting. At the core of GPI’s technology is the GC2 which is inspired by the innovative thinking that’s also responsible for the GC2 Smart Camera System. It is a stereoscopic camera system that accurately captures and analyzes the characteristics of the ball at the crucial point of measurement. This system offers the most precise evaluation of ball performance today. GC2 is never a let-down when it comes to accuracy which makes the institute’s launch monitor solution basically peerless in the industry. Integrated into the GC2 is the Head Measurement Technology that precisely captures the club head data as accurately as possible. It is the best technology currently available in providing a comprehensive analysis of a player’s swing and club head performance. Critical data that can be seen in this technology are the following: horizontal club path, impact location, club head speed, dynamic loft and lie, and smash factor. Add to that, they also have the Foresight Sports’ Performance Simulation solutions which boasts of ultra-realistic visuals and simulation of the courses. It dishes out performance-enhancing analyses that include an accurate back and side spin data with true-to-life evaluation and comments of every shot. The institute uses state-of-the-art technology such as K-VEST, SAM PuttLab, and V1 Video Swing Analysis Systems in tandem with their top local PGA Professionals and Certified TPI Golf Fitness Instructors. They also provide programs such as drive, chip, and putt clinic, Golf 101, Junior Golf Camp, Tiny Tykes Golf Training, Junior Golf Academy, Lunch Fit, Winter Golf Performance Series, and Ladies Golf Clinic. Go Golf is a premier indoor golf facility that’s been in business only starting in 2017. It is fully equipped with cutting-edge simulator technology that enables you to enjoy a few rounds of virtual golf without having to worry about the weather conditions outside. They offer both private and group lessons to help you with your game and experience playing on the elite courses with simulations that are as close to reality as possible. Their mission is to inspire golfers of all levels to learn and practice the game in a professional, friendly, and club-like environment. A 60-minute evaluation is conducted for all students to assess the technical aspects of their chipping, putting, full swing and wedges. The results provided by the evaluation will help the facilitators and instructors in designing the specific program that will ultimately help you become the best possible player you could be. Lessons can be scheduled on a bi-weekly or weekly basis which already includes simulator practice time on top of other activities. The performance program is classified into four, namely: apprentice, professional, elite, and chairman. Apprentice is a bi-weekly program that offers 30-minute lessons and 3 hours of simulator rental per month. Professional is a weekly program that offers 30-minute lessons that also includes 6 hours of simulator rental per month. Elite is a weekly program divided into chunks of 60-minute sessions that comes with a total of 10 hours of simulator rental per month. Finally, the Chairman package is a weekly program that’s built on 120-minute lessons with an additional 20 hours of simulator rental per month. Simulator rental is on a per hour rate and not on a per player basis. They also offer a la carte programs and corporate memberships for those who are interested. The Players Club Indoor Golf offers detailed and realistic environment simulations with a soothing country club atmosphere. This 3D golf adventure offers 50 of the world’s most renowned golf courses which are famous for their sophistication and the unique challenges that they offer. They have 6 golf simulators that cover 8,000 square feet which can also simultaneously hold private parties, corporate events, business lunches, and other special occasions. The courses available in this facility are categorized into six themes, namely: The Players Championship, Carolinas Collection, Pebble Beach Collection, St. Andrews Collection, Specialty Courses, and Custom Courses. The Players Championship theme is comprised of Sawgrass, Scottsdale, and Louisiana. The Carolinas Collection is composed of Pine Needles Golf Club, Island Golf Resort, Harbour Town, and The Ocean Course at Kiawah. Pebble Beach Collection consists of the Spyglass Hill Golf Course, Pebble Beach, and the Links at Spanish Bay. Custom Courses are composed of Red Rock Valley, Pine Rivers Champ, Shady Dunes, Sun Ridge, Hollow Grounds, Scottish Brae, and Atlantis. The Specialty Courses, on the other hand, are as follows: The Far East Tour, The Texas Golf Tour, The Par-3 Showcase, and The Myrtle Beach Tour. The St. Andrews Collection is composed of the following: Ashley Farms Golf and Country Club, The Heather, Kynzvart Golf Club, The Preserve at Bay Harbor, SheShan International Golf Club, Old Palm Golf Club, Waterlefe Golf and River Club, Venetian Golf and River Club, Huzhou Hot Spring Golf Club, Donald Ross Memorial, Nine Dragons 9-Hole Golf Club, Parkland Golf and Country Club, Nine Dragons BC Resort, Tuscany Reserve, Oriental University City Golf Club, Teeth of the Dog, The Links at Casa de Campo, and Bay Harbor Links & Quarry. It also offers three new courses with the Old Course, New Course, and the Jubilee Course. It is advisable that you book a reservation at least a week in advance to be assured of a slot. It usually takes about an hour to complete an 18-hole course. It would be prudent to book an extra time, especially for first timers, to make sure that you will have enough time to finish the round if ever. Raritan Ridge Indoor Golf is a humble virtual golf facility that is known for their friendly atmosphere. hey are one of the best PGA-Approved Virtual Golf Indoor Simulators in New Jersey. This facility enables you to play an 18-hole golf course with the best 3D graphics chosen from over 30 elite championship courses around the world. Their teaching professionals also offer one-on-one private lessons to help beginners enhance their skills, and even for seasoned players to achieve their full potential as a golfer. Golfcave Clark is an indoor golf course that operates 24/7, 365 days of the year. They offer private rooms (which they call caves) that are fully equipped with televisions, mini fridges, recliners, speakers, and their top-notch golf simulator called TrackMan. TrackMan is known to have one of the best golf simulator technology in the industry. It offers video swing analysis and real-time accurate data. After every session, you will be given a report consisting of all your relevant data that’s absolutely beneficial in tracking your progress and to correct any flaws if ever. It takes approximately an hour per player to complete an 18-hole course and you can choose from among 100 virtual courses on the menu. At an affordable rate, you can enjoy the photo-realistic 3D simulations and the high-speed cameras that are able to analyze the ball spin, club head metrics, and other data that can help you improve in no time. With a selection of 40 of the greatest golf courses from around the world, guests can enjoy the three high-tech indoor simulators with 15-foot wide screen TVs for a relaxing round of virtual golf that you can choose to play alone or with friends, with multiplayer contests like Closest to the Pin, Putting, and Chipping. Other amenities include an all-grass driving range, a well-stocked pro shop that flaunts many leading brands (such as Callaway, Ping, TaylorMade, Adidas, Nike, and IZOD), and a clubhouse with its very own bar and restaurant named Jack Kelly's Tavern by the Green. There are also PGA Professionals that offer private lessons upon request. The Clubhouse is a 10,000 sq. ft. indoor golf facility with an amazing environment that could accommodate up to 125 people at any given time. They have six golf simulators along with a 750 sq. ft. indoor putting green. They also offer catering services that let you dine and play at the same time, perfect for special occasions or events. They offer professional guidance in tandem with some of the best golf simulator technology available today. The TrackMan 4 technology can help anybody get started and pick up the sport as quickly as possible while you learn from the feedback and comments of the professional trainers and the system data at the same time. They offer party packages and private parties. The party package is good for a maximum of 20 people. You will have access to your own DirecTV with more than 200 channels, a personal mini-refrigerator, and access to the putting green. The private parties, on the other hand, can accommodate up to 125 people and comes with full use of the whole facility. You will have access to catering services and the halfway house beverage bar. You can also use the putting green and the multimedia system. Golfatron is labeled as Jersey Shore’s premier indoor golf simulation club that is strategically designed to accommodate both the beginners and professional golfers alike. It has numerous 18-hole championship courses to choose from. Its goal is to provide the best customer service together with the leading golf simulator technology available in the market. They have three state-of-the-art indoor golf simulator rooms which give you complete privacy and allow undistracted practice and play away from prying eyes. They employ Foresight Sport CG tracking technology which is known to be one of the best indoor golf products on the market. 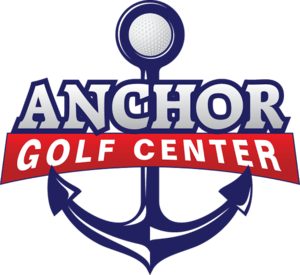 Anchor Golf Center is equipped with high definition Golf Simulators. It is a good place to spend some time with your friends and family due to the relaxing atmosphere that it provides on top of the indoor golf. They provide excellent customer service and great facilities at very affordable rates. You can choose from over 20 championship golf courses from all over the world, including Pebble Beach, Pinehurst No. 2, Bethpage Black, Harbour Town, St. Andrews Old Course, Kiawah Island (Ocean), Doral Blue Monster, Banff Springs, Bay Hill, Nicklaus North, PGA National, Spyglass Hill, Torrey Pines, Quail Hollow, Spanish Bay, Teeth of the Dog, Rich Harvest Farms, Troon North, Kettle Creek, and Wooden Sticks. They have recently renovated their HD Simulator rooms to give you the ultimate indoor virtual golf experience and other amenities. It is also equipped with a pool table, flat screen TV, seating area, dart board and food service at your beck and call. The room simulator can also be used for different events and functions such as custom leagues, instructional programs, corporate or networking events, and business meetings. Aside from the tourist attractions that New Jersey has to offer such as mountains, beaches, and forests – golf enthusiasts can also enjoy a wide array of virtual/indoor golf facilities found all over the state, most of which are equipped with state-of-the-art technologies and high-end equipment. You are always assured of a spirited game of virtual golf without having to worry about the weather outside. Presented above are our top picks for the best indoor golf facilities in New Jersey regardless if you are a beginner, intermediate, or a seasoned player. There may still be some undiscovered indoor virtual golf courses that we may have left off here due to time and space constraints, but for now, we’ll leave it entirely up to you to discover those hidden gems for your own pleasure.